Microsoft’s Forza and Halo franchises will become even closer in Forza Horizon 4 with the reveal of a special ‘Halo Showcase Experience’ that’s being highlighted to members of the press at Gamescom 2018 this week. The behind-closed-doors demo for Forza Horizon 4 features a brief walkthrough of the Halo experience, and as reported by Windows Central, this unique showcase event even sees Cortana make an appearance – with Banshees chasing after you whom you’ll need to escape from. 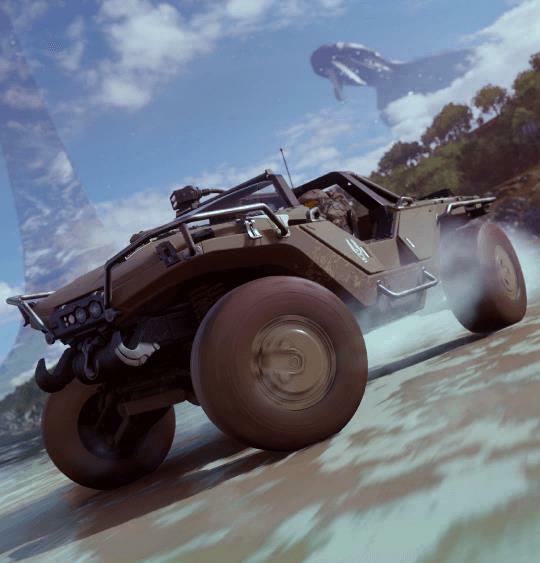 Forza Horizon 3 featured the Warthog M12 from the Halo universe, as well as a piece from the score of Halo 5: Guardians on the Timeless FM radio station. Forza Horizon 4 sees all this return, but with a dedicated Halo showpiece mission that acts as one of the game’s epic Showcase events. Past titles have you seen you racing against jets, trains, boats, hot air balloons, blimps and more – whilst Forza Horizon 4 will see you take on a team of stunt motocross racers in off-road dirt bikes, a hovercraft by the Scottish Highlands, and of course, a classic-style steam train at the Glenfinnan Viaduct. But the Halo Showcase Experience is a little different to all the rest. 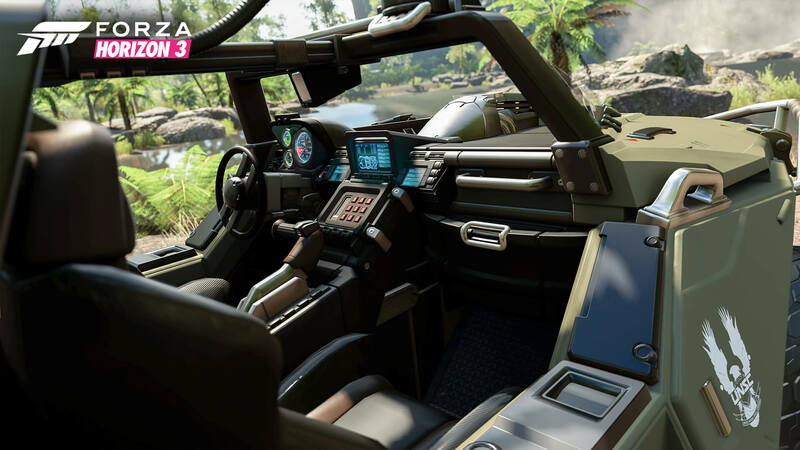 In this one, you’ll be playing as the Master Chief – the lead protagonist of the Halo franchise, whilst driving a Warthog with a Pelican aircraft following behind. According to Windows Central, the mission presents itself as “a training exercise,” during which you’ll be chased by Banshees – the small aircraft used by Halo’s main enemies, The Covenant. 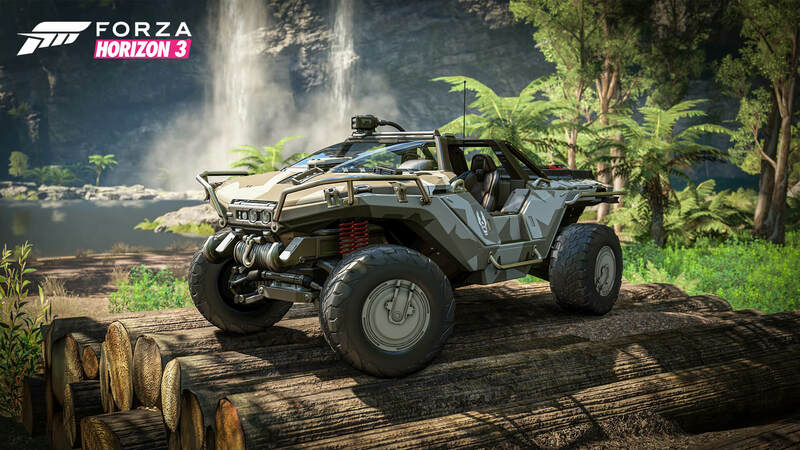 In fact, you’ll find all kinds obstacles from them throughout this special event, such as energy shields, and you’ll even see the Halo ring ahead of you as drive your Warthog as fast as possible from those pesky Banshees alongside the beautiful, historic British countryside. There’s also one other bonus in this event, too – and that’s Cortana, the AI assistant who helps Master Chief massively throughout the Halo franchise. For this special mission – which appears to be almost a tribute to the fan-favourite Silent Cartographer level from Halo: Combat Evolved, her voice acts as a narration of the experience and replaces ANNA, the GPS assistant used in the Forza Horizon series. Whilst it might not sound like a whole lot of content overall – it is just one mission at the end of the day, it should be enough to please fans of both the Halo and Forza franchises alike in the run up to Halo Infinite, the next official entry into the long-running first-person shooter franchise from Microsoft and 343 Industries. Speaking of 343 Industries, Playground Games did collaborate closely with the Halo developer on this special mission, likely to ensure it fit naturally into both the Halo universe and that of the Forza franchise. Who knows what teases or little pieces of lore could be hidden within the mission, left to be discovered by eagle-eyed fans once Forza Horizon 4 launches on October 2nd. Maybe there will be some hints towards Halo Infinite, or perhaps it’s nothing more than a crossover as a treat to fans of both series – we’ll have to wait until later this year to find out. It’s worth noting that Microsoft hasn’t shared any official images or video footage of the mission just yet. For now, this one is exclusive to those who attend the behind-closed-doors demo of Forza Horizon 4 at Gamescom this week. Expect to see it showcased in action sometime in the future, but for Halo fans who want to replay this mission over and over – there’s even more good news. Ralph Fulton, the Creative Director of Forza Horizon 4, told Eurogamer that the mission can be played repeatedly. Simply navigate to its icon on the map and you can enjoy it as much as you desire. The Halo Showcase Experience will be available to all players in Forza Horizon 4 from launch. It’s not the only thing Playground Games is discussing for its new open-world racer at Gamescom, however, as there’s also two new Xbox One bundles packing in the game, as well as fresh details and footage from the new competitive-inspired Team Adventure online mode. Forza Horizon 4 is also playable at Gamescom this week – with the E3 demo experience available to all attendees on the showfloor.